Regardless of whatever high-flying, lucrative roles the Harry Potter series' actors might go on to, they'll always be remembered for their parts in the wizarding world. Emma Watson has been Belle, yet she will always be Hermione to those who held the lovable bookworm dear. Maggie Smith had an entire lifetime's worth of work under her belt before Sorcerer's Stone debuted, yet to so many, she is Professor McGonagall, now and always. Not every role is so sunny, however. Peter Pettigrew, for instance, is a literal and figurative rat of a character, a man responsible for Harry Potter's central trauma, condemned to the henchman's life forever. He is loathsome, sniveling, and weak, even when his actions have effects that ripple throughout the decades. 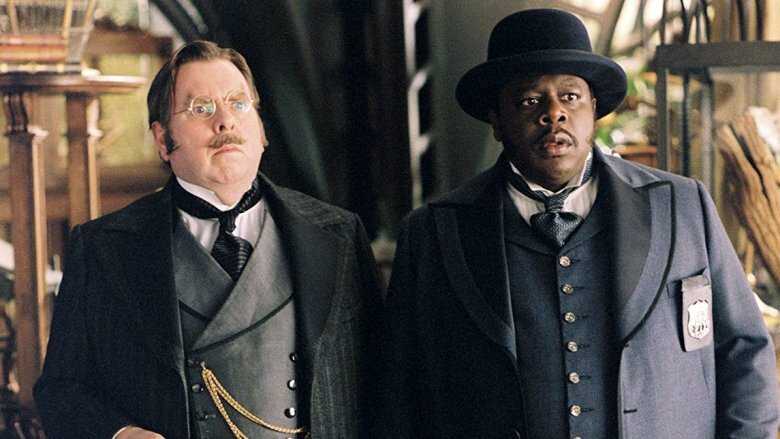 And he is so because Timothy Spall, veteran British actor, played him so effectively. Spall is an actor with a filmography that encompasses everything from the cornerstones of Western literature to the most modern-minded pieces around, studded with awards and accolades of every kind. He's a man capable of bringing you to tears as often as he makes you laugh, of portraying quiet heroism, bloviating rage, and low cunning alike. Here are some of his greatest roles beyond Peter Pettigrew. If you recognize them, enjoy the revisit. If you don't, you've got some excellent watching ahead of you. Spall might play a different character in a very different setting in Tim Burton's adaptation of this fiendishly delightful musical, but Potterheads will likely notice more than a few similarities. 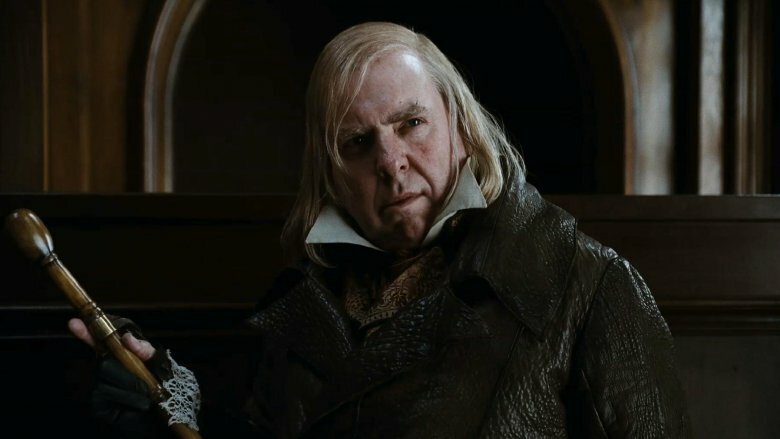 His character, Beadle Bamford, is a wretched, gleeful servant of Alan Rickman's sinister Judge Turpin, a man whose power he clings to in the hopes that some might rub off on him. He is deeply duplicitous, luring innocents into Turpin's path through carefully deployed secrets and lies, skimming whatever he can off the top whenever he can get away with it. And he is, ultimately, not even the villain of this story, but a pitiful also-ran with delusions of grandeur. Johnny Depp, as the single-mindedly vengeful Todd, dispatches the beadle with a single swift slice of his razor. Above all of these textual similarities to Pettigrew, however, is the greatest of all: the quality of Spall's performance. No one could have been as perfectly servile as he is in the role, nor so sumptuously aware of his character's ultimate impotence. Spall plays Bamford like a man who thinks he's on the up-and-up, with an actor's awareness of the fact that he is very much not. Secrets & Lies follows a terrific and varied ensemble cast of British all-stars as they grapple with family ties, long-buried half-truths, and the reality of what it means to love someone against all odds. 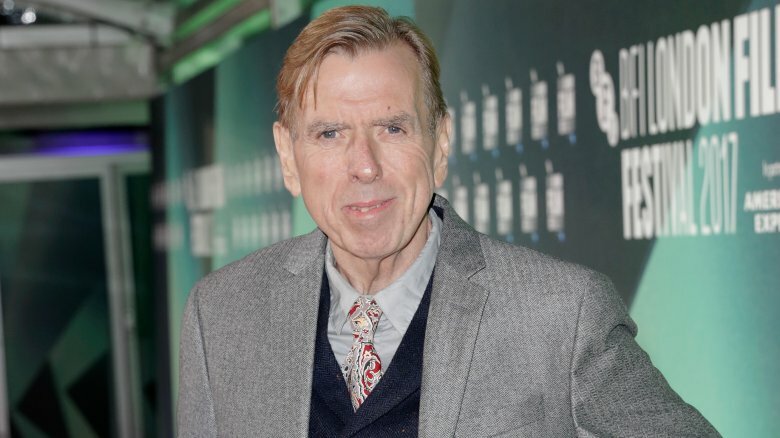 In the midst of it all, there is Timothy Spall playing Maurice Purley, a photographer with conflict brewing between him and both his wife and sister. Complicating his life further is his long-lost niece, given up for adoption decades ago and recently returned in an effort to understand her origins. The film garnered nigh-universal acclaim when it premiered as a sophisticated, tender-hearted look at the history and hope that holds a family together across everything from unexpected pregnancy to job loss and poverty. Spall's Maurice is a terrific example of these strengths: a man whose life is both in and out of his control, who laments his losses yet works hard — if not always successfully — to move forward. As Winston Churchill, Spall plays a big role — yet in the context of this movie, not the starring one. Spall is, rather, a supporting player to Colin Firth as King George VI in this portrayal of the king's struggle to master his persistent stammer. It would be a terrible trial for any man, let alone one with his level of visibility and power, but there lies ahead a still greater challenge. As the movie winds on, tension across Europe begins to brew, and Spall's Churchill cannot make the declaration of war against Nazi Germany himself. It is a duty that falls to the King, and the King alone. And so, the training begins — often hilarious, always arduous — to take the King from his impenetrable stutter to smooth, confident recitation. 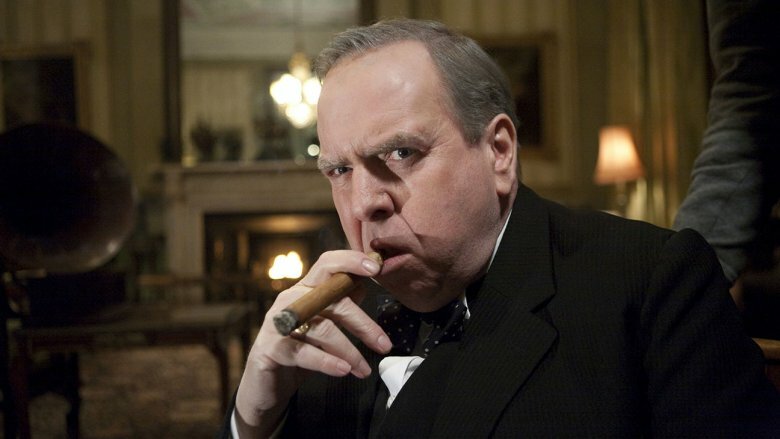 The presence of Spall's Churchill is a grounding force in the film's final scenes, in which King George VI accomplishes his goal and changes the world, with nothing but the power of his voice, a microphone, and radio broadcasting. A rollicking, ruthless portrayal of art and what fuels it, Spall plays the painter J. M. W. Turner in this critically-acclaimed biopic. Turner was, by all accounts, a bit of a madman. He consciously refused the trappings of fame, had himself tied to masts to better paint sea scenes, and never quite fit in within the Royal Academy of Art. But his work was utterly sublime, capturing the power and violence of nature as readily as its grace and tranquility. He was a complicated figure to the point of negativity — the movie sees him take his housekeeper vastly for granted, even when their relationship grows sexual — and Spall fills the role as no one else could. He has darkness within him, to be sure, but also tremendous beauty and a capacity for growth. 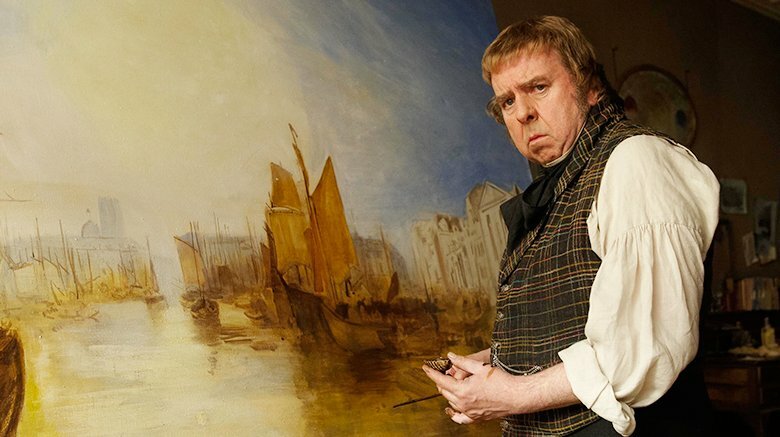 Spall takes to the role as Turner himself took to painting: with a hunger and a passion too fierce and singular to be denied. 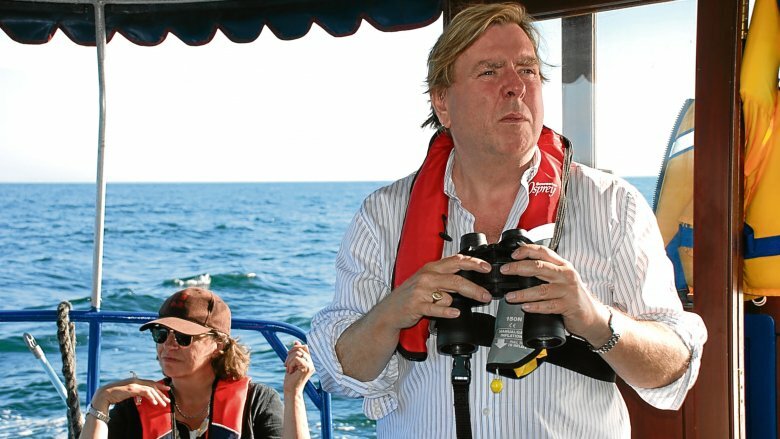 Unique among these entries, the Timothy Spall at Sea series is about the man himself. He and his wife Shane are dedicated sailing enthusiasts, and this BBC program follows them on their journeys around the British coast, from the Isle of Man to Northern Ireland, aboard their Dutch barge, the Princess Matilda. Spall, for once playing himself, is a delightful guide to the world of galleys and moorings — his passion for the freedom of life on the seas shines through every moment. Three series have been produced: Somewhere at Sea, Back at Sea, and All at Sea, taking them from Aberdeenshire Port to their final trip up the River Thames. Though Spall's skill and expertise is an enormous part of the show, the foibles of sea life are part of it as well. The couple infamously became lost in 2011, and had to be guided back to safety by the authorities of the town of Sheerness. 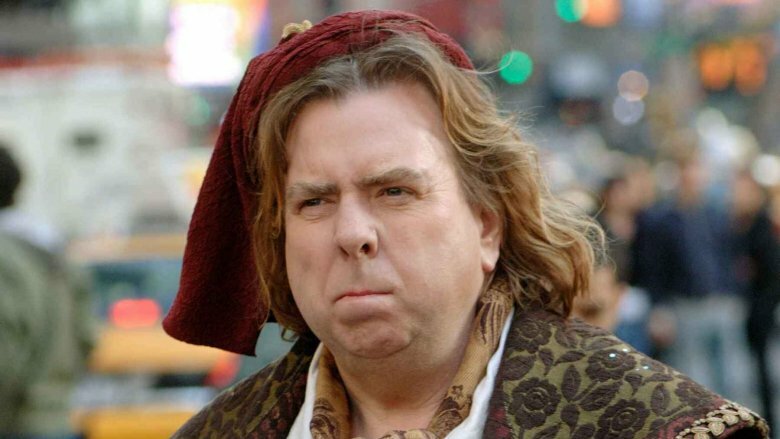 Nevertheless, Timothy Spall sails on, across the British isles and away from his fictional roles, where he can be a man unto himself. Another henchman enters the Spall filmography in this frothy Disney adventure. Giselle, a woodland princess from the magical land of Andalasia, finds herself trapped in our very own New York City when the wicked Queen Narissa pushes her into a dimension-spanning portal. Narissa sends forth Nathaniel, played by Spall as a helplessly lovesick minion, to keep an eye on Giselle and do her bidding in general. Spall gets to be quite a bit funnier here than as Peter Pettigrew or Beadle Bamford. He talks to Narissa through pots of boiling soup, antagonizes a chipmunk, and ultimately gets his redemption. That's right — he's a Timothy Spall henchman who chooses to leave the evil leader he's pledged himself to for the good of the heroes. Our last glimpse is of him promoting a self-help book about his experiences, a long and ardent line of autograph-seekers waiting to meet him. Here, Spall proves that he doesn't just play servile wretches well — he can make you root for them too. The Damned United is a movie about obsession wrapped in a story about football. 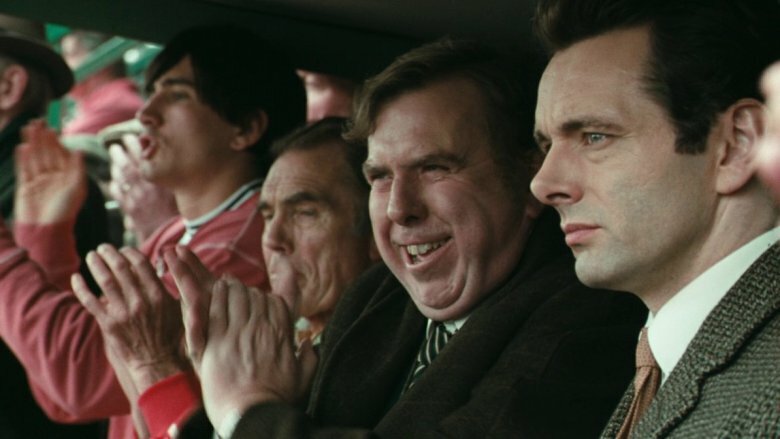 A fictionalized take on the 1974 tenure of Leeds United football manager Brian Clough, Spall plays Peter Taylor, his assistant with whom a rift appears over the course of the film. Darkly funny, The Damned United uses its fairly narrow subject — one football club, one period of 44 days, one small but enormously intense group of people — to examine larger themes of pressure, failure, and what it means to be successful in the world of sports, no matter what the sport at hand is, who's playing it, or whether the stakes are world-shakingly large or relatively puny. The Damned United, ultimately, examines the fact that sport is life writ small, and Spall's Taylor — brought to his knees by a heart attack, subject to others' manipulations, yet ultimately far more powerful than most people ever get to be — is a linchpin of that message. Spall has made his mark on more than a few classics over his career. Sweeney Todd is a landmark musical brought to life by absolute masters of stage and screen. A Series of Unfortunate Events is well on its way to becoming a well-loved monument to children's literature. Harry Potter needs no introduction. 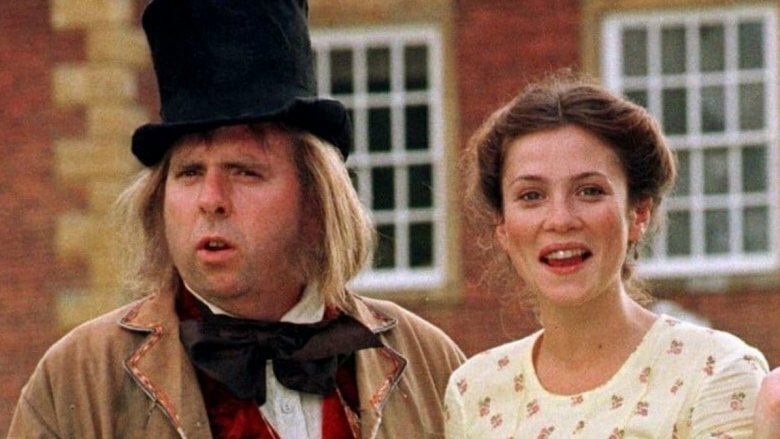 And then there is Charles Dickens: a giant of literature, a challenge to thespians everywhere, and yet another luminary whose work has been interpreted by one Timothy Spall. In the 1998 TV serialization of Dickens' Our Mutual Friend, Spall played Mr. Venus, a taxidermist in love with one Pleasant Riderhood. Considerably more colorful than many of Dickens' characters, Mr. Venus is enlivened by Spall's performance, and his gift for outlandish characters shines particularly here, pulling off character beats and lines that might have seemed false in a lesser actor's hands. As with Peter Pettigrew, he makes you believe in Venus as a character, rather than a collection of tropes and oddities as he sometimes seems on the page. Spall does what even Dickens himself could not: he makes Mr. Venus whole. Spall stars in this BBC series about five members of a betting syndicate who win the lottery. As Bob Davies, a good-natured manager of convenience store Right Buy U, Spall accidentally foils a robbery by his own employees, becomes the deciding vote in whether or not those lying, desperate men win their share of the lottery prize, and discovers he has terminal brain cancer. He stands at the center of a tangle of thorns, a kindly man pursued by ill-intent and terrible luck. It's a tremendous turn by Spall, which is expected, but also a very wholesome role, which, given his oeuvre, is not. His goodness is of the most everyday, and, simultaneously, most necessary kind: durable, default, and extended to all. He's a man who doesn't see any need for laser surgery as he's fine with glasses, and a man who tells an employee about a shop's closing with as much ease as possible, heedless of the fact that he too will be impacted. It is a delight to see Spall play such a gentle role, yet no surprise that he excels. In The Syndicate, he proves his mastery of acting beyond type. The Baudelaire children are menaced by more than a few people over the course of this film, but Spall's bumbling Mr. Poe is one of the strangest. Unlike Count Olaf — whose machinations include leaving the children parked in front of an oncoming train, killing interlopers with deadly vipers, and staging an entire play devised to trick a young orphan into a legal marriage for her inheritance — Poe doesn't ever intend to cause harm. As the orphaned trio's banker, he manages the considerable fortune they stand to inherit and seeks to place them in the healthiest possible environment. He means well, truly he does. He's just acutely oblivious. The children (and the audience) are always aware of the cruelty that surrounds them, of Count Olaf's many disguises, and the lengths to which people will go for large sums of cash. Mr. Poe, however, isn't. In that sense, he is the ultimate adult to the young audience this movie was created for: a guardian with mysterious and important powers who somehow manages to miss all the things children do not. He's a good man, but this is a story for children, and they know better than anyone how little the good intentions of adults can amount to. Spall teamed up once again with Secrets & Lies director Mike Leigh for this film, centered around three working-class families and the traumas and victories that define their lives. Spall plays Phil, a father and taxi driver caught in a web of addiction, dead-end jobs, and family squabbling that encompasses roughly a dozen people by the time the film reaches its end. If Secrets & Lies didn't already make it clear, Spall and Leigh cement the fact that they make beautiful work happen when they collaborate in this sterling example of "kitchen sink" realism. 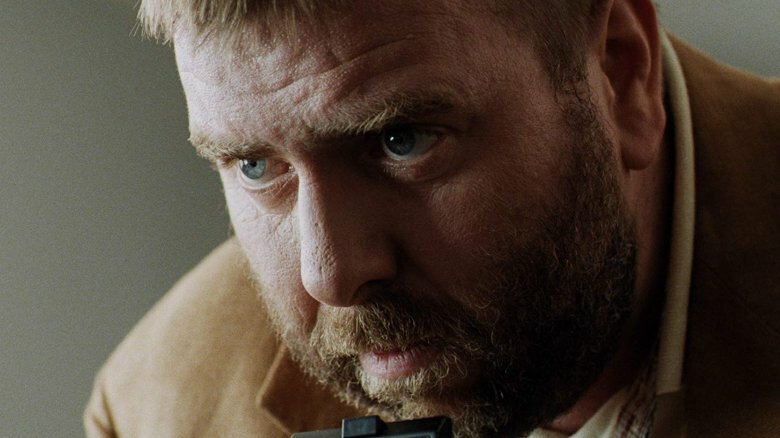 Spall's character lives a life that edges on bleak, yet he keeps away from toppling into true despair — something that, if anything, makes the character even more heart-rending. His performance has its feet planted firmly in moments of extreme dysfunction and steadfast love, an honesty that catapults All or Nothing into greatness. It's easy to see why Spall is one of Leigh's go-to performers. Together, they find the eye of the storm that is modern life in the U.K.